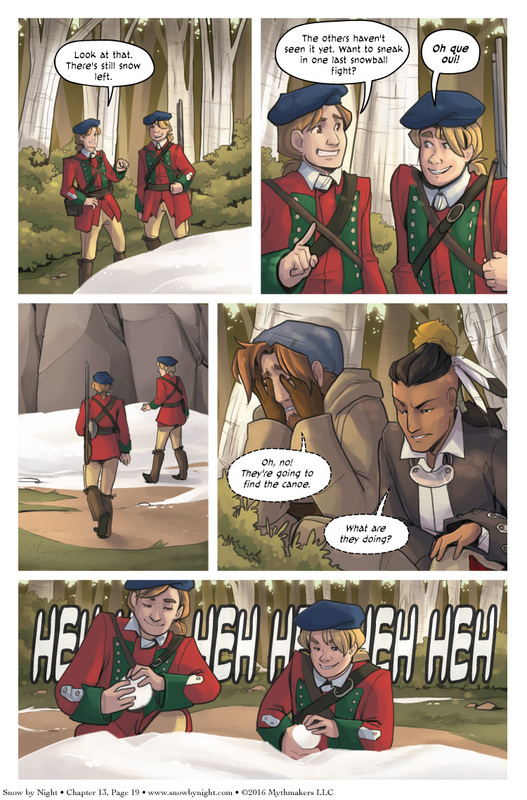 The Morantine scouts get distracted by the opportunity for mischief on Chapter 13, Page 19. Snowball ambush! Heh heh heh! You can see Snow and Elk prepare to respond when you vote for Snow by Night on Top Web Comics. 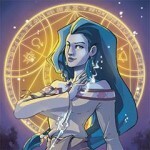 GenCon is on the horizon! We’re busily making fun things for show. We hope to see you all there! Is it weird if I’m hoping they’ll all just play together in the snow or something and be friends? You’re never too old for a snowball fight! Wouldn’t the snowballs go right through the loch’s skeletal frame? That’s an unfair advantage. I suppose there are worse ways to go but ‘assassinated while having a snowball fight’ sounds like it’s on Enzo’s bucket list.